Hi Maclaine! My name is Ashley MacLellan. When I received this postcard, it made my day. I cannot believe that out of all the Hope Streets in the world, you chose our house! This is my parents home, but I still live here while in university. I am going to school to become a social worker. I am 20, and have a 17 year old brother named Carter. My parents are Brent and Carole. 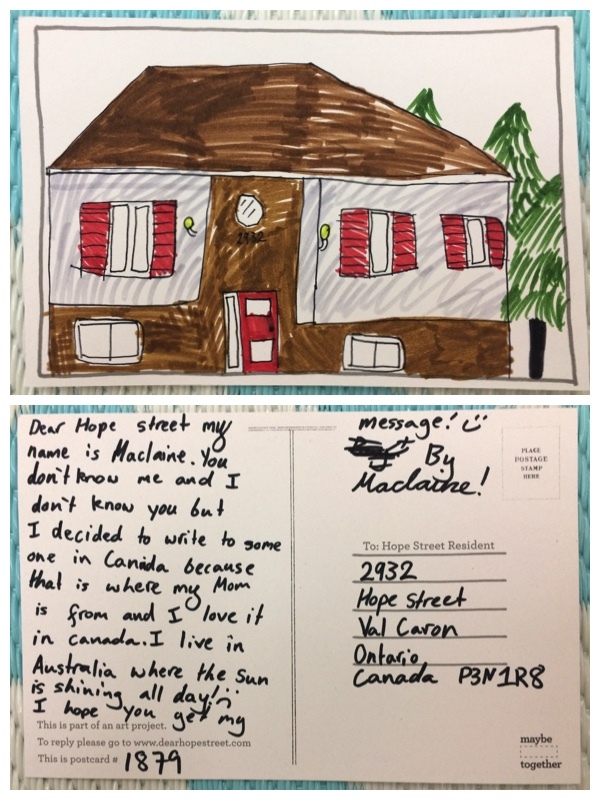 Your drawing of our house is amazing.. it looks just like it! I feel so special that we got your card! Its also cool how your name is similar to my last name! Thanks again, and I wish you all the best!